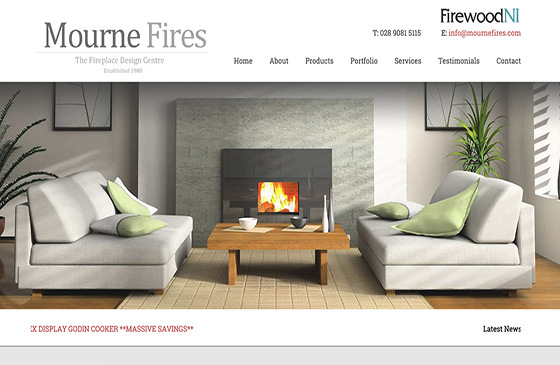 Mourne Fires is a family business established almost 30 years ago. They manufacture their own distinctive range of traditional and contemporary fireplaces to customers’ specification in marble, granite, limestone slate etc. They also supply, design and fit a large range of multi-fuel stoves, range cookers and gas fires including suspended fires, rotating fires, and see through fires.